This deeply nourishing crème is specially formulated to enrich, hydrate and protect even the most sensitive skin. Rich, face-firming formula works to counteract the signs of aging. Rejuvenates and replenishes with the powerful antioxidant agents found in grape seed oil. 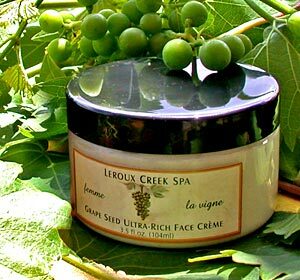 Excellent as a daily moisturizer in dry climates and as a night cream in humid climates.